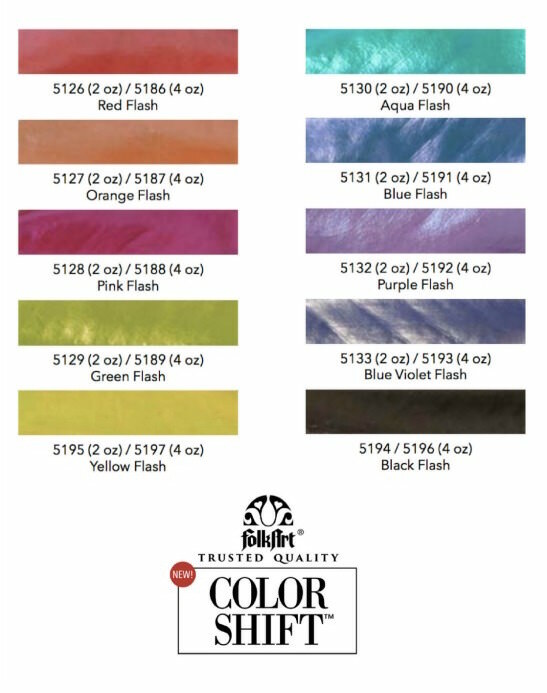 FolkArt Color Shift paint is a cool craft paint – with metallic shades that shift in changing light! Learn all about it and how to use it. Don't forget to scroll down to the bottom of the post to see a video that shows all the colors! I've made it very clear how much I love craft paint. I'm kind of obsessed with it! 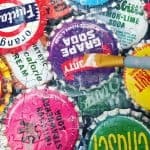 I use craft paint by itself but also in many of my Mod Podge crafts. I wrote on article on how to use acrylic paint and it's always been a popular post. When a new craft paint comes out, I feel obligated not only to use it, but to write about it if I fall in love. My friends, I have fallen in love with FolkArt Color Shift! If you've never heard of color shift paint, you're in for a treat. 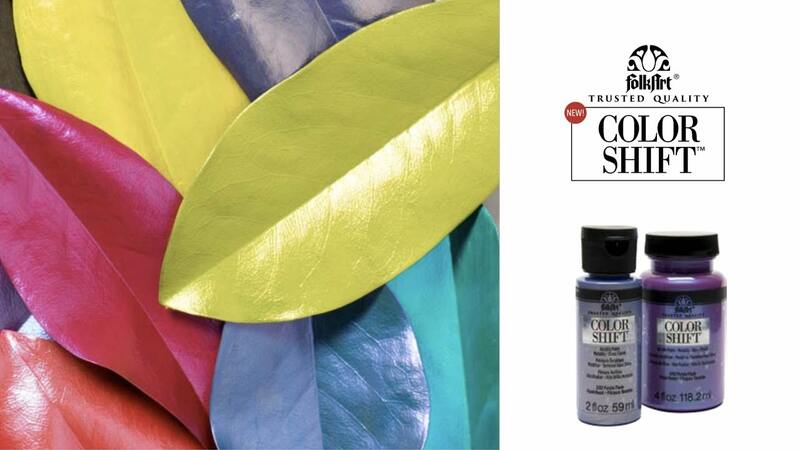 This paint has pigments that create a metallic luster with colors that shift in changing light! Color shift paint is hard to describe, for sure. It's very beautiful when you paint a dimensional object and then move it around in your hand in light. You can see how it shimmers and shines, like mermaid scales. It's awesome and one of favorite craft paints ever. I'm really excited about it . . . and want to share some projects so that you can see how to use this amazing paint . . . but before that, I want to share some Frequently Ask Questions and tips/tricks on Color Shift. So that when you use it, you are fully prepared and get the best results! Let's start with a color chart! 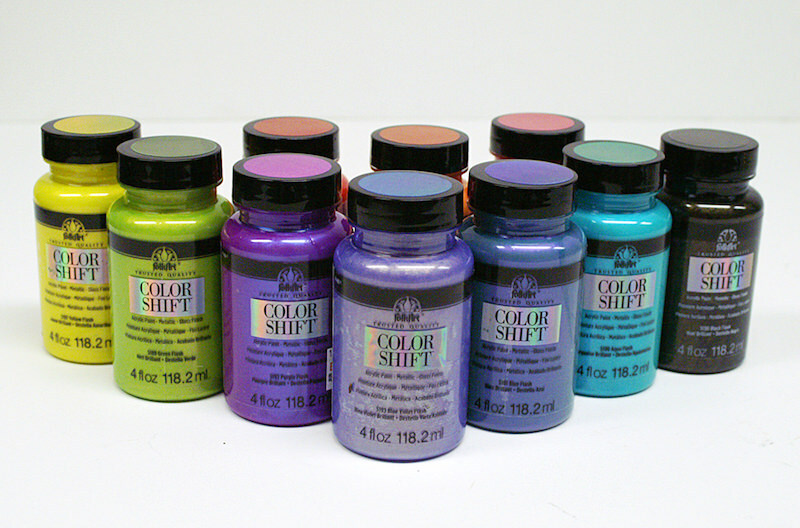 Color Shift color changing paint is available in ten shades (see the chart above). 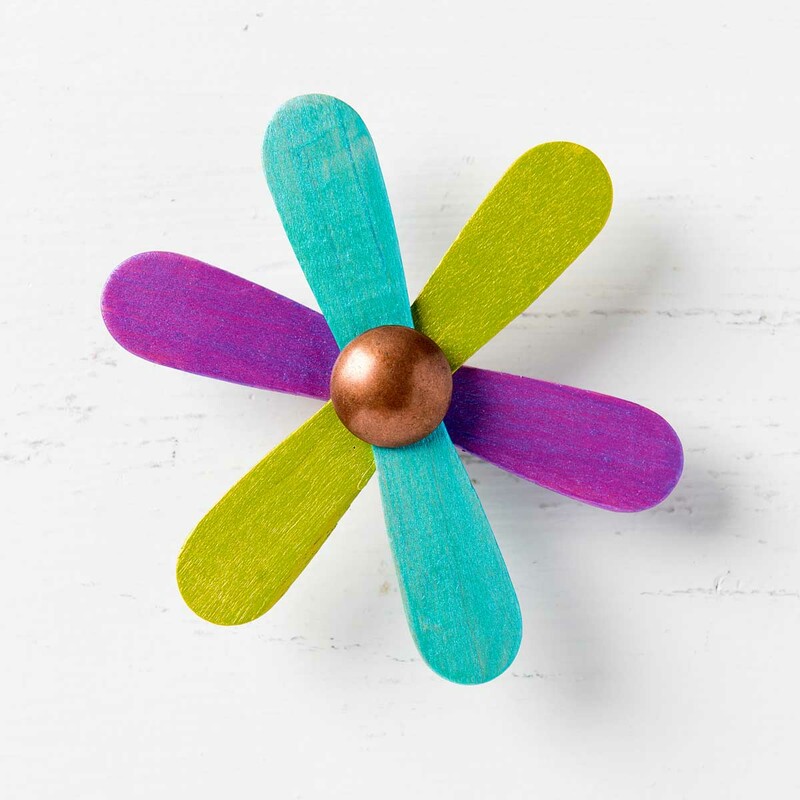 You can use it on a variety of surfaces (I address that below), and it's water-based, non-toxic and made in the USA. It's easy to brush on and you use it straight from the bottle. Keep reading for my FAQ and tips! On what surfaces can I use color shift paint? 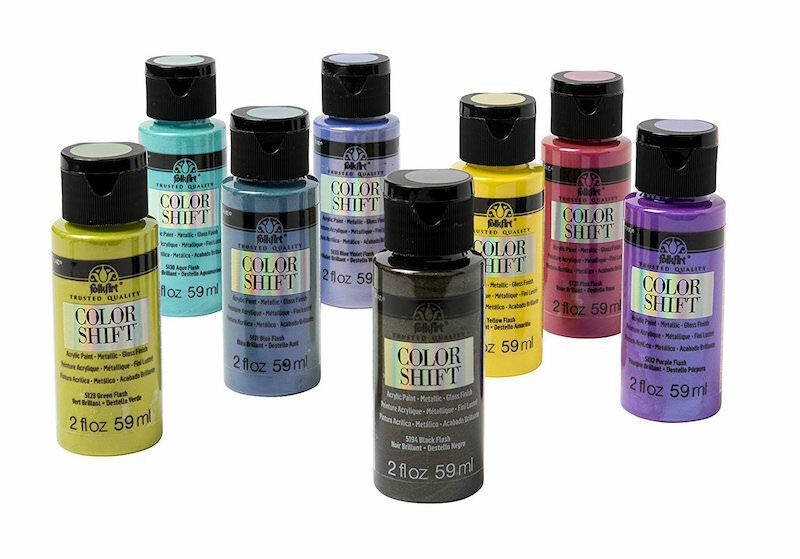 Color Shift Acrylic Paint can be applied to most paintable craft surfaces such as wood, terra cotta, stretched canvas, rigid plastic, papier mache, metal, bisque ware or unglazed ceramics, glass and ceramics. The color shifting properties of the paint appear best when painted onto a smooth, 3-dimensional surface that will reflect light. How should I prepare surfaces before painting with it? Wood – If desired, sand smooth any rough areas prior to painting. planting so water does not seep through possibly blistering exterior paint. 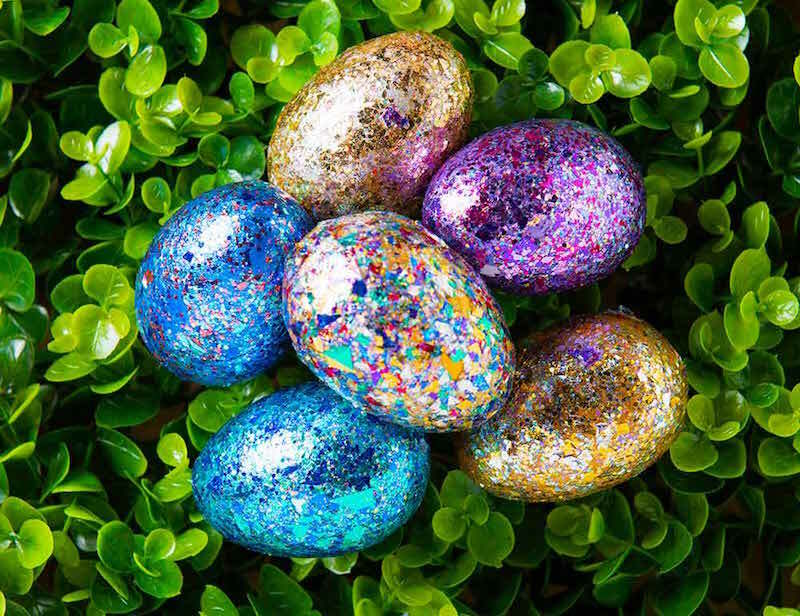 Metal and Tinware– Metal that has been enameled or sealed should be washed in warm soapy water, dried and then wiped with rubbing alcohol to remove remaining grease or soap residue. Canvas – No prep required prior to painting on canvas. Rigid Plastic – Wash the surface well in warm soapy water, rinse and thoroughly dry. Wipe over surface with rubbing alcohol prior to painting on rigid plastic to will remove remaining grease or soap residue. Papier Mache – Wipe over surface with dry paper towel to remove dust. Glass and Ceramics – Wash surface well in warm soapy water, rinse and allow to dry thoroughly. Wipe over surface with rubbing alcohol to remove remaining soap or grease residue. Bisque or Unglazed Ceramics – Wipe to remove dust or loose dirt. Note: It is NOT recommended to use Color Shift paint on fabric; fabric will only absorb the paint and (depending upon the weave of the fabric) may be too textured. You can try it at your own risk to see if you mind. What is the best way to apply Color Shift paint? FolkArt Color Shift Acrylic Paint can be brushed directly onto most craft surfaces as a basecoat and is beautiful by itself. However, it can also be used with other creative art techniques such as stenciling or sponge painting. Does it hold up well on outdoor surfaces? Absolutely! Color Shift is formulated so that it can be used on interior surfaces as well as a permanent outdoor paint. By the nature of the acrylic polymers used within, it is weather resistant. When cured to the surface, it is self sealing, making it unnecessary to seal or topcoat, when properly cured (48 hours). Once cured to the project surface, it is water and fade resistant under normal conditions. Can I use water to thin it? No – you'll mess with the properties of the paint. 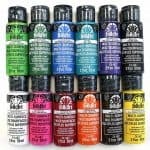 Can Color Shift Acrylic Paint be used with other paint products? You shouldn't mix it with other paint products as you'll compromise the color, finish and ability to shift colors. You can basecoat an item with regular acrylic paint though – let that dry and then paint over the top. I actually recommend this because it helps the Color Shift to “pop!” You can paint it directly over dry acrylic paint or stencil it on top. 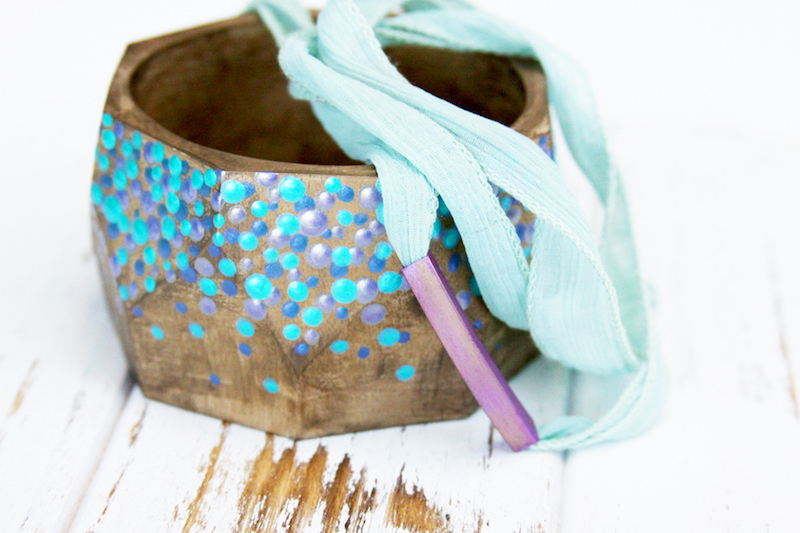 Yes, you can use color shift paint with Mod Podge. I would only use it with Mod Podge if I wanted to decoupage paper or fabric on the top of it though (like with kindness rocks, for example!). Color Shift is self sealing, so no need to seal it any other way. This paint will dry to the touch very quickly, however, it will take approximately 48 hours before it is cured to the surface. How should I clean up my painting tools? Because it is non-toxic and water-based, is easy to clean out of painting tools immediately after use, while wet, with soap and water. 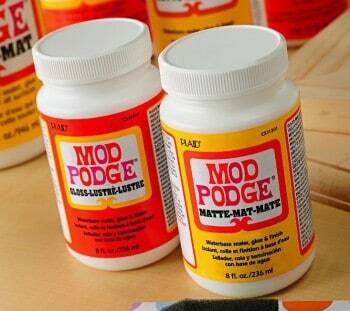 Like any other acrylic craft paint or Mod Podge! You don't want this paint to dry in your brushes. Are you ready for some projects?? I'm so excited to share! Here are 10 ways to use this paint below. 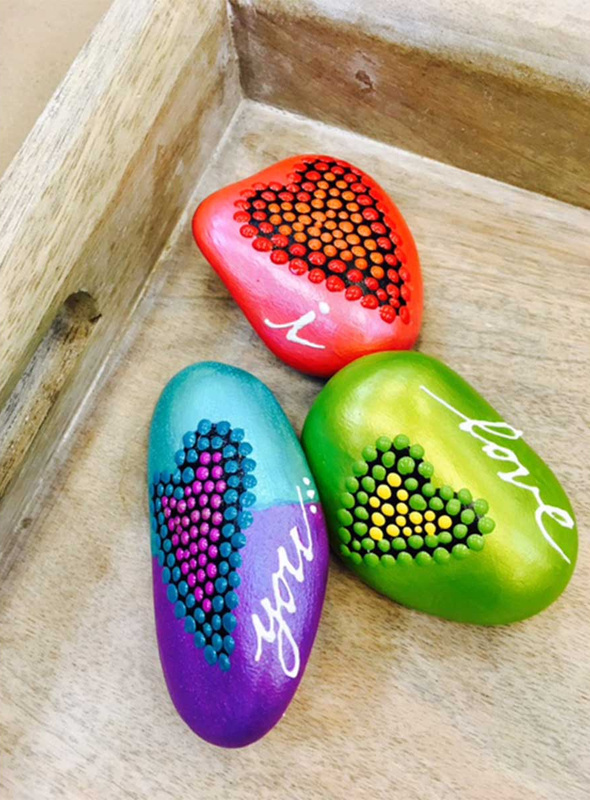 Paint rocks with color shift paint, then hide them in the bushes for someone lucky to find! They will shine so brightly in the sun. 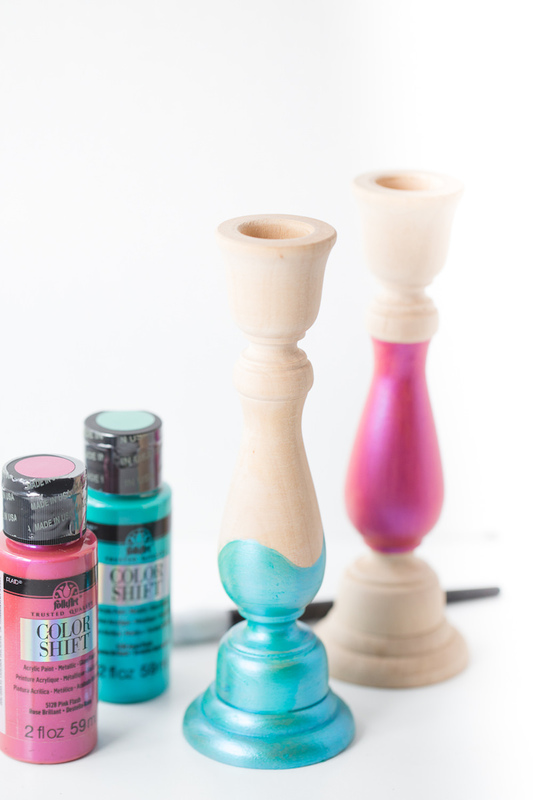 Katie used these colorblock candlesticks to create candy holders! These are so cute for the holidays. I love the way she splatter painted on the top, too. What happens when you spin it around? Well you'll just have to find out by making one! All I have to say is that it looks really cool. Kids will love this project. 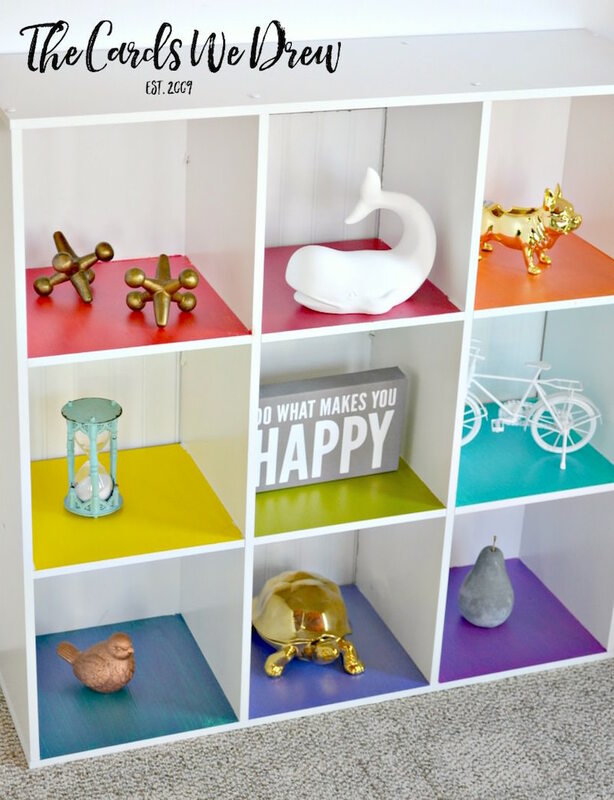 This shelf is such a perfect way to use all the shades of color shift paint! It's hard to say which one is my favorite . . . because I really love them all. What I love about this project is that Color Shift was used underneath Glitterific (another product by Plaid) for a unique effect. So you see glitter on the top and the shifting of the acrylic paint below. 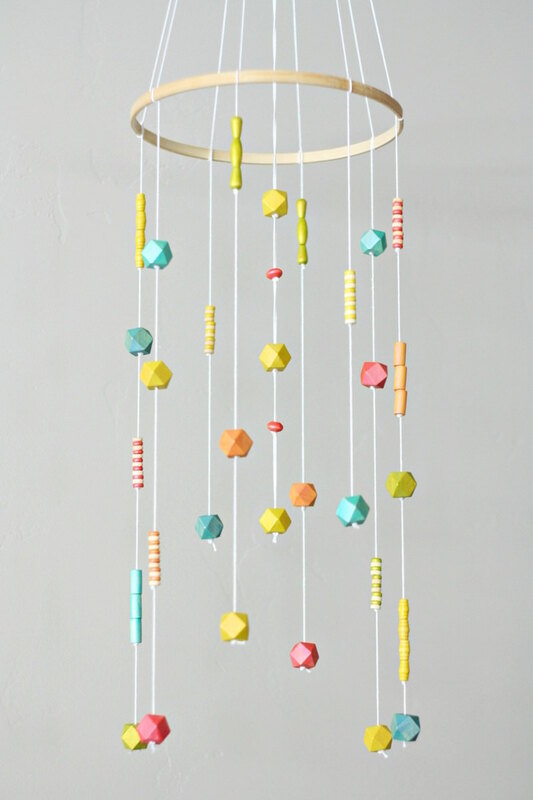 The Pretty Life Girls used this paint on geometric beads and made a mobile! What's fun about this project is that the beads spin around, showing off the awesome paint effects in the light. You can use this paint on furniture, and it looks so cool! What kid wouldn't love this in their bedroom? 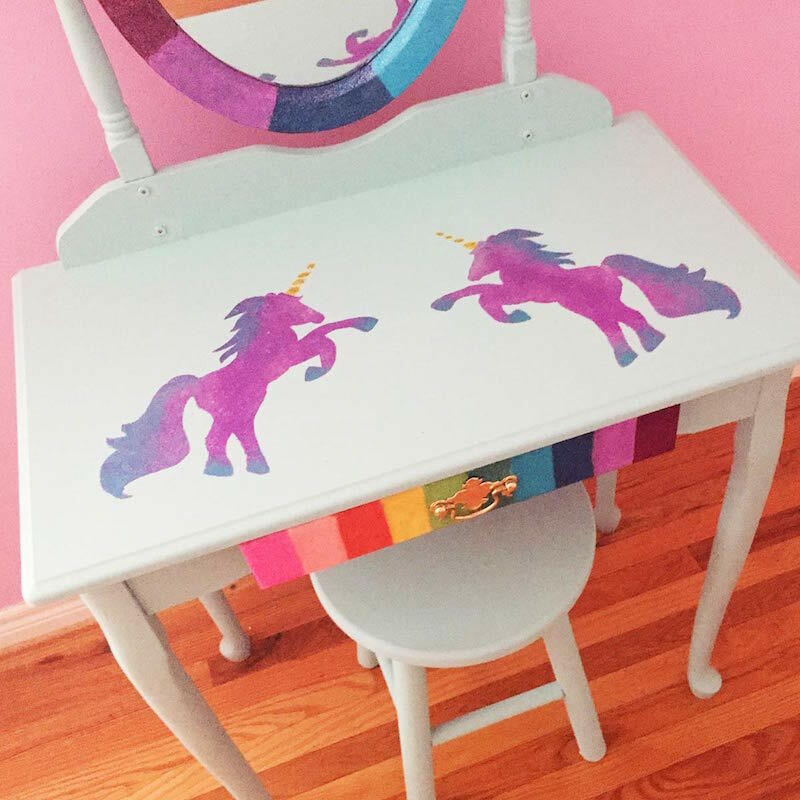 Heck – I might want unicorns in my craft room. 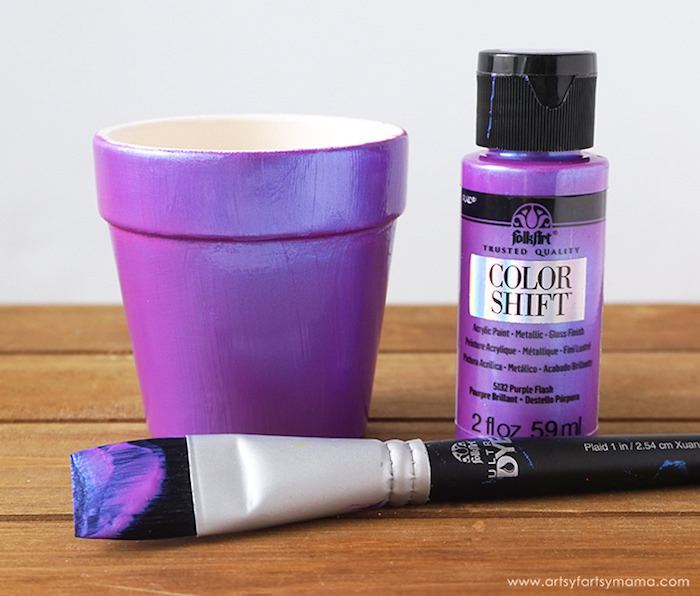 You don't have to use this paint in large areas – you can dot color shift paint on too! It looks awesome on this mermaid inspired bracelet. Three shades were used. 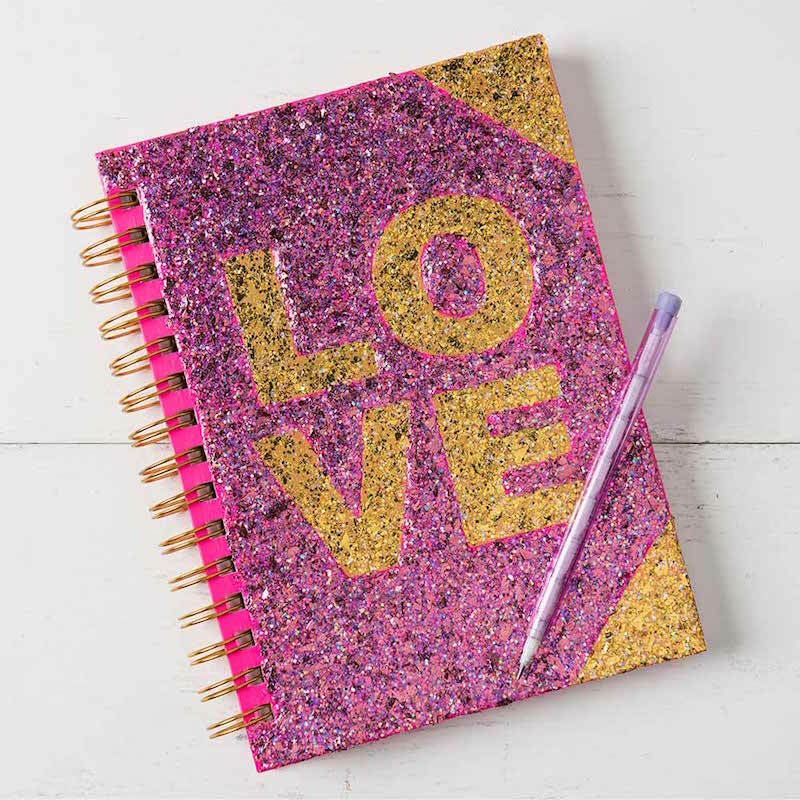 This notebook is another example of using this paint with glitter on top. You need to try it so you can see how amazing it looks with and without! So far this is probably my favorite application of Color Shift. It looks awesome on pots, so my plan is to do a set for my windowsill. AND I could even leave them outside since it's self sealing! Let me know in the comments if you'd like to try this paint – and what your project idea is. Enjoy! Can you repurpose canvas shoes with this for a Holographic look? Can I mix this with textile medium to use on fabric? I have found the paint of my dreams to do all the projects I’ve ever envisioned or dreamed of. This paint is so amazingly awesome. I cannot believe the colors, and the ability to shift the color in the light at different angles is too good to be real. I want to get some of the paint and do the pots for my first ever outdoor plants for my porch. I want to make some rocks to decorate the area around my pond and other landscaping in my yard. I want to make some popsicle bracelets for my daughter and great granddaughters. I want to do some frames for decorating their bedrooms. I want to paint some things for my Wizard of Oz livingroom. Okay, I’m gonna stop now, but I think I’ve got a few ideas of things to do with this kickin’ paint. Thank you so much for introducing me too this paint in your former post when you showed us what you had found. I was already a huge fan of yours but now it’s official … You are my idol lol. I instruct a craft class at a retirement home and I have been running out of ideas,so I am happy to learn about this gorgeous paint. Now I’ll have another medium I can use. Thanks for the info. My pleasure Arlene! The class members are going to love it!! It’s so beautiful in person. I don’t know what I would use it on yet, but I know I could come up with something! This is so beautiful! The colors are amazing! I’m not sure how I will use them yet, but I have a lot of unfinished projects that are screaming for colors like these! I hope they are available at the major craft stores. Thanks for your ideas! I will have to give this new paint a try. I can picture the changes when I paint on glass. Thanks for the tips. My pleasure. You’re going to love it! Love the way it looks! I have been wanting metallic paint for som old earring I want to renew. 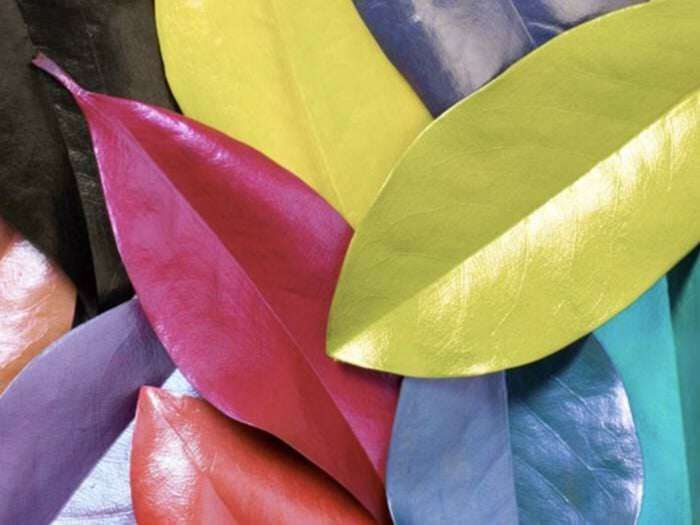 Can these color shift paints be used on large leaves ie. magnolia or oak? Yes Laura – absolutely!! It’s beautiful. I would like to try Color Shift for use on cards, Christmas ornaments, papier mache items and figurines and wire ming trees to name just a few techniques. I am a retired American Folk Art and Needlework professor. For many years I taught, wrote, and had published numerous articles featuring traditional projects and techniques. Now I have time to experiment with giving “old” items a new look. The Color Shift paint sounds as if it would be an ideal material to use for this “new look”. I would appreciate receiving samples to try. Ohh! Can’t wait to try the aqua color on clay pots & glass vases & jars! I I have a new craft desk & area that’s all aqua colors – my favorite color! Thanks for sharing your post! I went in search of the aqua shift paint today. I have been waiting all weekend to go get some! My first stop didn’t have any – ????. Then I remembered another place that would have it. Plus, they had it in the 4 fl oz size botttle! Yippee! ???? I always admire the shift painted cars & pick up trucks. I am going to get some toy vehicles & paint them with my aqua shift paint! This is one way to have what I want! ???? I love the idea of painting with this on an old leather purse. Will it work on leather and fabric? I didn’t see that mentioned. can I use this on Leather? It doesn’t allow to Pin. When clicked on Pin, the link does not open. This is the best thing ever!! I do oh so many crafts and am always looking for new n unusual things to try..now I hafta go get some of this new paint! I want them all, lol, thanks for your blog! I love these colors. Just recently acquired some older garden Knick knacks. These paints would totally give them new life and pops of color that they so well deserve. It takes something pretty darn cool for me to make a “right now” trip to purchase it in as many colors as I can get…this is one of THOSE things!!! 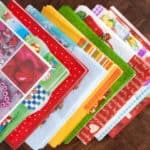 I have ideas galore on projects this will be perfect for, I can’t wait! My 8-year old grandson lives two blocks away, he is an old soul and a born crafter. He prefers to call himself a “maker”. I am so excited to introduce him to these paints and see what ideas his vivid little imagination brings forth. Thank you and thank you for this post. I am loving how amazing this paint looks and all the colors! It even comes in my favorite color in the whole wide world, yellow! I’d like to try it on a few flower pots that I have plus some wooden purses I bought so I could decorate them. These colors would look so cool on those purses. I’d love to use this on some canvas bags I have with stencils but I don’t see that it can be used on any kind of fabric. I. have to look for this paint! Hi Gail! Fabric absorbs this paint and so might not show off its full properties. But you can always give it a go! I need to try it myself just to see what happens! Can these paints be use on fabrics?